Margaret River is a beautiful place on the west coast of Australia. It’s a region that encapsulates culture, sport, great food, spectacular views and wineries; all in one place. There are so many things to do in Margaret River even though it’s a small region of Western Australia. 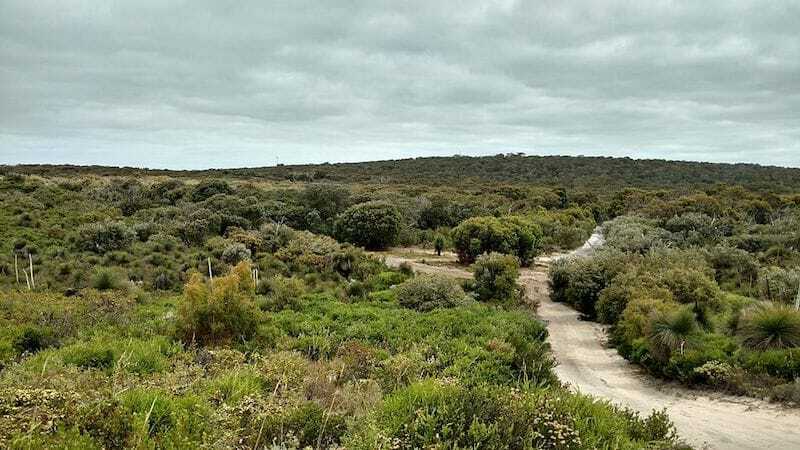 It’s time to explore some of the exciting things to do in Margaret River especially if you have a taste for wine and love stunning scenery! Margaret River is known for its breathtaking views, most of which are found on its beautiful beaches. The region has around 200km of coastline stretching from Busselton to Augusta, so it’s great for surfers, tourists or locals! Here are some of the beaches you may like to visit. Hamelin Bay – Known for its crystal clear and bright blue waters, Hamelin Bay wins everyone’s hearts. 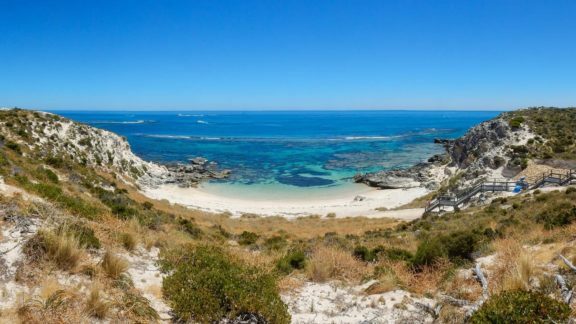 Hamelin Bay makes a beautiful beach to visit when you’re looking for a swim, a tan, or even snorkelling. Yallingup Beach –Yallingup Beach is the place for you if you enjoy watching the sun set over sparkling waters! Known by surfers worldwide, this beach boasts consistent southeast waves making it the ideal place to surf. 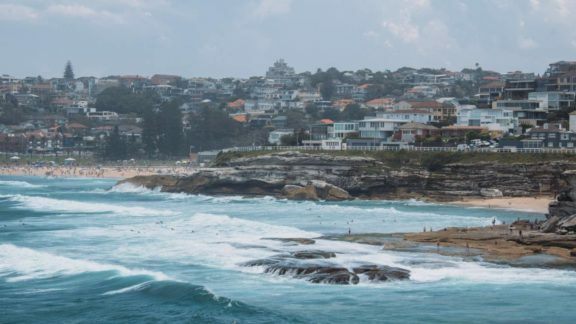 Check out some of the best surf spots in Australia. 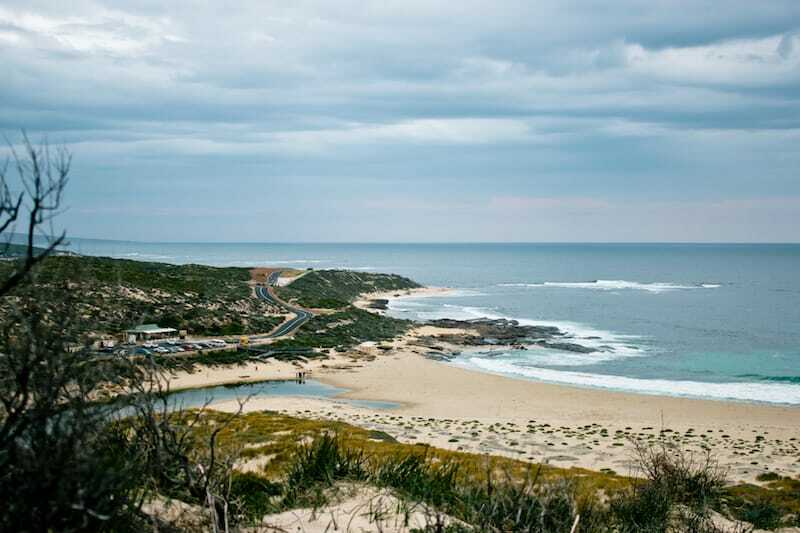 Margaret River Mouth – Margaret River mouth is known for its white sands and sand-dunes which are asking to be slid down! It’s named because of the sensational sight of seeing the mouth of the river meeting the ocean; which makes it an awesome place for that beautiful Instagram photo to share your Margaret River travel adventures! These are just a taste of the breathtaking Margaret River beaches there to explore. 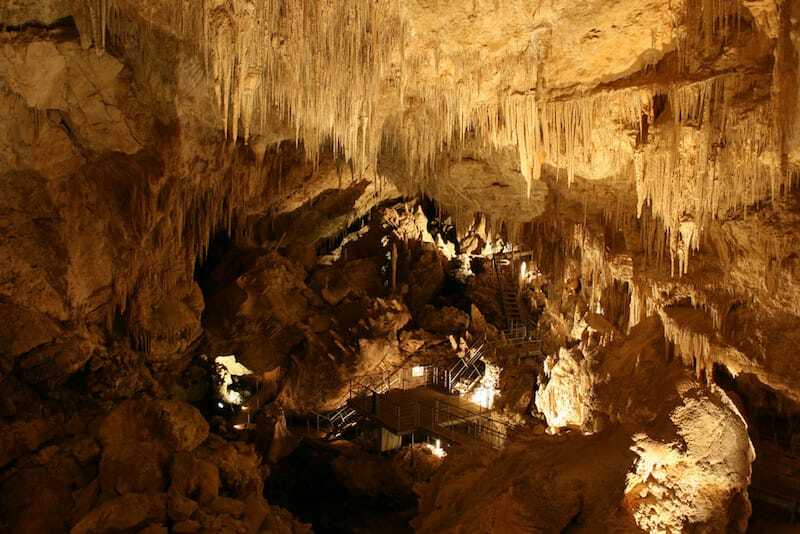 There are over 150 caves in Margaret River but the Mammoth Cave surely wins the title as the most interesting to visit. It’s one of a few caves in the southwest that contains fossils. You can also do a self-guided tour here, making it probably the most popular cave to visit in the area. The Mammoth Cave is a stunning landmark which exhibits extraordinary formations of different shapes and sizes. After exploring the cavern, why not explore the eye-opening Marri Forest as you listen to the birds and appreciate the beautiful plants. The Margaret River wineries are world renowned and probably why you’ve heard of the region. The wines are developed with hundreds of years of experience passed down through the region’s best winemakers. If you love swirling your glass and rinsing your tastebuds with some of the world’s best wines, make a visit to some of the Margaret River wineries part of your travel itinerary. 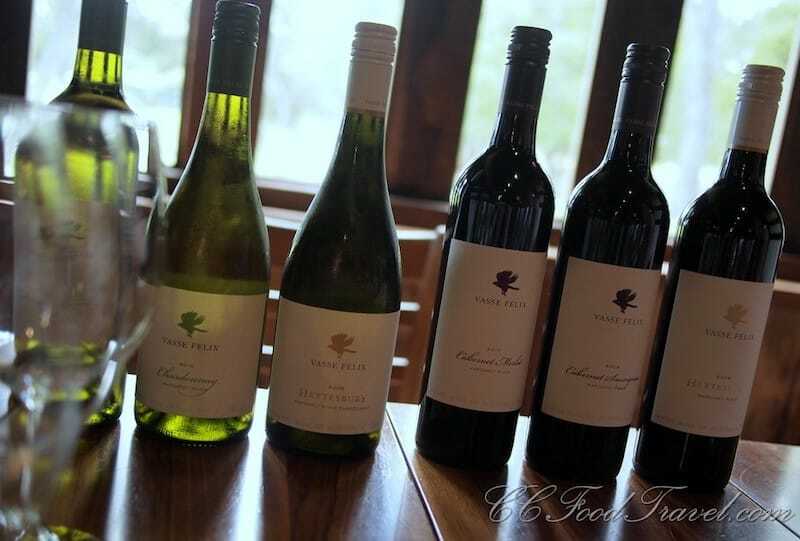 Vasse Felix – Vasse Felix is Margaret River’s longest standing winery in the region. Dr Tom Cullity, Vasse Felix founder, searched for the region’s best plot of land in a mission to establish the world’s tastiest wines. I think he did a good job. Whether you’re looking for a stop at the Wine Lounge or seeking to explore the beautiful vineyard gardens, Vasse Felix makes a great destination for everyone. Voyager Estate – Voyager Estate is an award-winning winery known for their Chardonnay and Cabernet Sauvignon. Voyager Estate explores the process of wine creation. Come along and visit their breathtaking vineyard today for a life changing experience. Providore – Visit Providore when you’re looking for a combination of wines to taste, liquers to explore and olive oil sauces to test. Providore’s Coward & Black vineyards has won trophies and awards including Gold at the Sydney International Wine Challenge for their Chardonnay. This winery is a must to explore, especially with the other organic products they offer alongside the award winning wine. These wineries are just some of the large number to explore in Margaret River, but they’ll get you started in your adventures around the wine-soaked region. If you like to challenge yourself and go the extra mile (literally) then visit the Cape to Cape Track. The track spreads 135km across the breathtaking coastline and ventures through the magical karri forest, cliff top views, remote beaches, limestone caves and lighthouses. If you’re looking for great photographic content and an unforgettable experience, the Cape to Cape track makes the ideal destination. Like many others, you’ll love Margaret River Chocolate Factory due to its rich history (and rich chocolate!). The Chocolate Factory has been producing award-winning chocolates, serving delicious breakfasts, lunches, desserts, fondues, drinks and cakes since 1999. 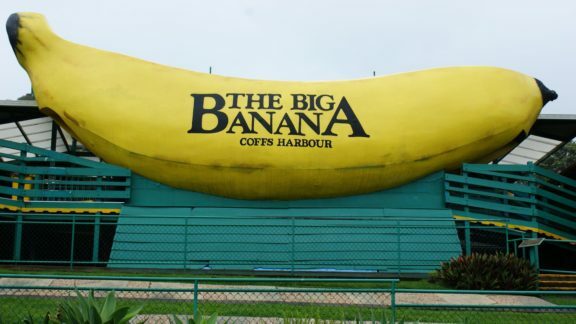 So if you’re looking for a great place to rest after your long day exploring, this place makes an amazing pit stop. There are so many things to do in Margaret River that it’s the perfect destination for all travellers. Visit the region for a trip you will never forget, and for spectacular opportunities to capture beautiful landmarks on camera. 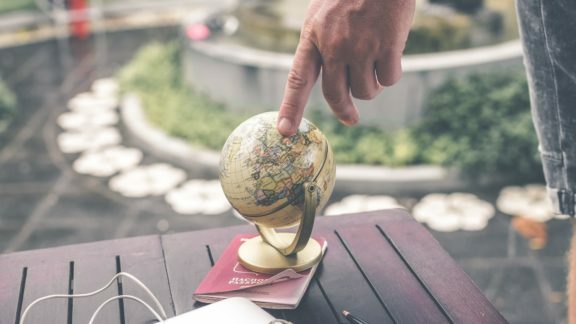 Author: Oliver Kucharzewski is a digital marketing specialist for the Azure Holiday House in Dunsborough, with a love for dogs, great tasting Japanese food, and an appreciation of the beautiful world we live in. In the day he is a coffee connoisseur, web developer & digital marketer and in the evening – he is a university student and a contributor to a local youth group with an aim to drive himself and others to experience true joy.